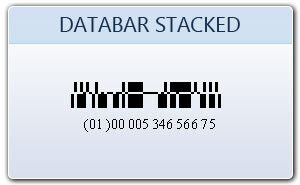 Databar stacked is a variation of RSS-14 Symbology that is stacked in two rows and is use when the normal symbol would be too wide for application. 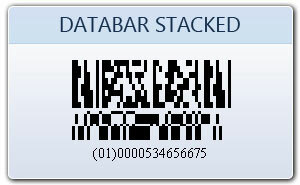 RSS-14 Stacked is used for small item marking application it is designed to be scanned by wand scanner. It can not be scanned by omni-directional scanners. 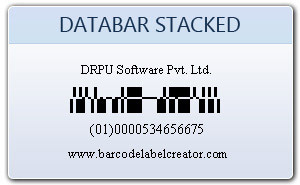 With our Bar coding system you can design and print databar stacked 2D barcodes labels , tags and stickers.